Introducing DURAGADGET's toughest case yet, in a stylish matte black. 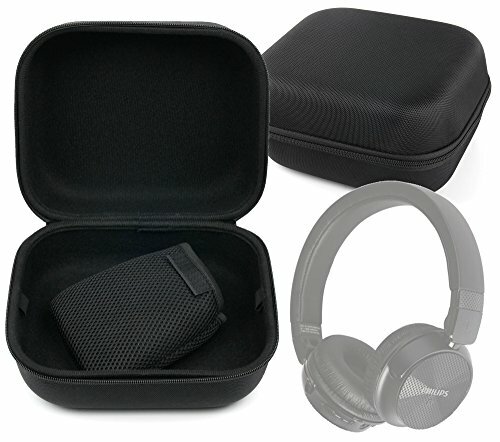 This large case, crafted from the profoundly tough and durable EVA will provide virtually any headphones the outstanding level of protection they deserve. This robust case however, is also both lightweight and portable, making it easy to carry with you wherever you go. The strong EVA material will protect your expensive headphones from any shock or scratches, whether they are being squashed inside a suitcase, thrown into a backpack, or simply being carried around with you. The case features a removable netted insert, enabling the EVA to carry and protect any spare cables, chargers or earbuds inside the case. The case also includes a carry handle. This case does not include any device/s that may have been shown in the corresponding images.